The Tax Cuts and Jobs Act (TCJA) was a bonanza of tax cuts for the wealthy, due in part to the cut to the top income tax rate, the doubling of the exemption for the estate tax, and the cut in the statutory corporate tax rate from 35 to 21 percent. Overall, 49 percent of the $285.5 billion in tax cuts in 2018 are directed to the top 1 percent of taxpayers. Proponents of indexing capital gains are advocating for the Trump Administration to redefine the meaning of an asset’s “cost” to include the value of inflation. For example, under the current system if an asset is bought in one year for $1,000 and sold 10 years later for $2,000, the amount of income that capital gains tax would apply to is $1,000 (the difference between the initial cost of the asset and what it was sold for). The administration is considering a regulatory policy change that would allow taxpayers to subtract the inflationary value. So if inflation over 10 years is 20 percent, then the owner of the asset initially purchased for $1,000 would be able to exclude $200 additional dollars from the capital gains tax, meaning that rather than paying the tax on $1,000 they would pay it on $800. As a new report from the Institute on Taxation and Economic Policy (ITEP) explains, capital gains already receive several significant tax advantages compared to other forms of income making the inflation adjustment at best redundant. To start, income from capital gains is taxed at a substantially lower rate than ordinary income (a top rate of 20 percent on capital gains versus 37 percent for ordinary income, excluding the net investment income tax). Second, capital gains income is exempt from taxation if assets are passed on to heirs or charity. Finally, capital gains income is only taxed upon its sale, which allows owners of assets to defer paying taxes for years and creates a significant economic benefit compared to ordinary income that is taxed on an annual basis. These three tax breaks will cost close to $3 trillion over the next decade. Rather than cutting capital gains tax rates further, the new ITEP report suggests several critical reforms that would tax capital gains the same as ordinary income. These reforms include taxing capital gains at the same rate as income, curtailing the exclusion of capital gains income when passed on to heirs or charity (the report proposes keeping an exclusion of $250,000 for these gains), and cracking down on strategies to defer capital gains taxes through like-kind exchanges and derivatives. Taken together, ITEP estimates that these reforms could potentially raise nearly $3 trillion in revenue over 10 years. The revenue yield could be even higher if Congress were to take a harder tack and implement full mark-to market-taxation (which would tax unrealized gains on an annual basis), which shows just how advantageous the tax treatment of capital gains income has been. Indexing capital gains for inflation creates a whole host of problems. First, it would pile more unpaid tax cuts on top of those already passed as part of the TCJA and over the past two decades. According to an estimate from the Penn Wharton Business Model, indexing capital gains for inflation would cost $102 billion over 10 years. Because many state tax systems are tied to the federal system, it could also mean billions in lost revenue at the state level as well. Second, cutting capital gains taxes further would be highly regressive. 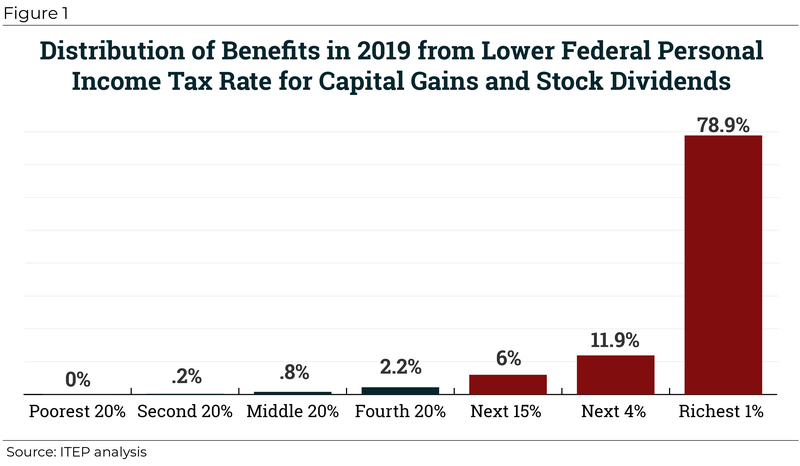 The ITEP report found that 78.9 percent of the benefits of the preferential rates on capital gains and stock dividends accrue to the top 1 percent of taxpayers. Third, it would create more complexity in the tax system and more opportunities for tax avoidance by favoring capital gains income over other forms of income and creating opportunities to generate phantom losses. It is striking to contrast the proposal to index capital gains with the Rubio-Lee child tax credit expansion that was rejected as part of tax reform. That proposal would have benefited 16.7 million low- and middle-income families and cost several billion less than indexing capital gains for inflation, yet it was deemed too costly to include as part of the tax law. The main case that proponents of indexing capital gains make is that cutting capital gains taxes would increase economic growth. A review of the economic literature from the non-partisan Congressional Research Service (CRS) found that such a change would be unlikely to have “a significant, or any, effect on economic growth” because it would increase the deficit (thus creating crowding out effects due to higher debt) and because the incentive effect on savers from the change is likely to be small according to the economic literature. In addition to being disastrous on policy grounds, using executive action as is being discussed would be legally dubious. 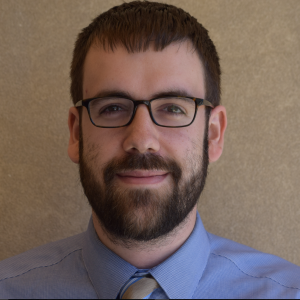 As a recent paper from Professors Daniel Hemel and David Kamin lays out, an exhaustive analysis from the Justice Department in 1992 determined that changing the definition of cost to include inflation would go well beyond administrative authority. Some conservative advocates have argued that recent court cases should change this legal calculus, but Kamin and Hemel’s paper explains that the cases being cited are being misread, and recent court decisions further solidify the legal case against change. One of the biggest ironies of this new push is that the Trump Administration is willing to go well beyond the limits of its administrative authority to enact additional tax cuts for the wealthy but has been unwilling to use its normal administrative powers to close a tax loophole that President Trump campaigned on closing. Specifically, President Trump said numerous times during the presidential campaign that he wants to close the carried interest loophole, yet he failed to include this in his tax proposals nor has he taken executive action to close it. The renewed push to index capital gains taxation after the passage of the extremely costly and regressive Tax Cuts and Jobs Act demonstrates once again that there may be no limit to the amount of tax cuts for the wealthy that would satiate anti-tax conservatives and the Trump Administration. Not only is the move legally questionable, it also is a clearly regressive tax policy; it may facilitate tax avoidance; it would pile an additional $100 billion to the nation’s debt, and it would add more complexity to the tax code. In other words, this proposal should not have been seriously considered in the first place and now should categorically be rejected.